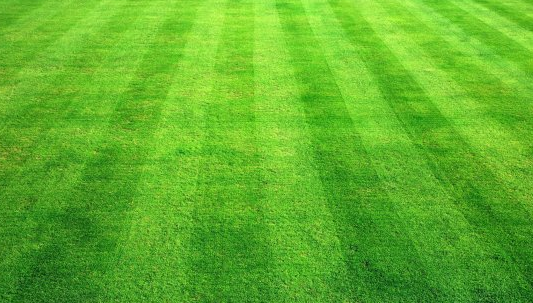 We cut lawns of all shapes and sizes, from small lawns to larger landscaped lawns, for both domestic and commercial clients. We use the best grass cutting equipment (and for lawns that are in good condition) each time we cut your grass all the edges will be trimmed and any debris removed to leave your lawn in immaculate condition. We are happy to take away your grass cuttings and debris but there will be a charge for doing this. 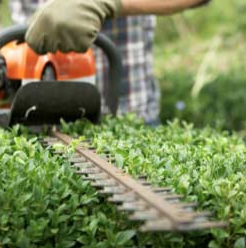 Hedge Trimming - the size of the jobs we undertake varies considerably so each job is priced individually. Prices from £25. 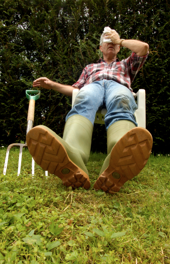 Garden Clear Ups - if your garden has got out of control and you just don't know where to start or don't have the time to tackle it, let us take the strain out of the garden for you. 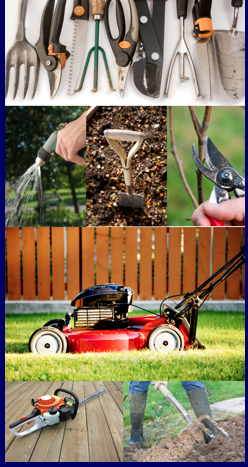 Our service can offer a one off blitz (see Special Offers) helping you to get to grips with your garden or regular maintenance each week or fortnighly. Power Washing - we can offer amazing results to bring your patio slabs, stepping stones or driveways back to life. Power Washing will also remove the slippery green surface and moss that normally builds up over the winter months. 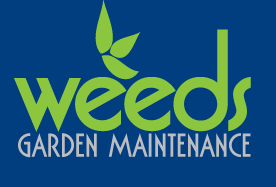 Weeding and Digging Over - Removal of weeds and soil dug over - we offer this service as a one off or on a regular basis. Prices start from £15 (depending on the volume of weeds/overgrowth and difficulty of the job). Hanging Baskets and Pots Planted up - you pick the plants and we will make them up for you. Chippings/Bark - for areas that require low maintenance let us clear the area for you and replace the weeds and overgrowth with bark.